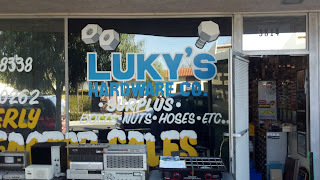 Today I was up in Burbank for work, and decided to check out a place I had heard about but never visited. 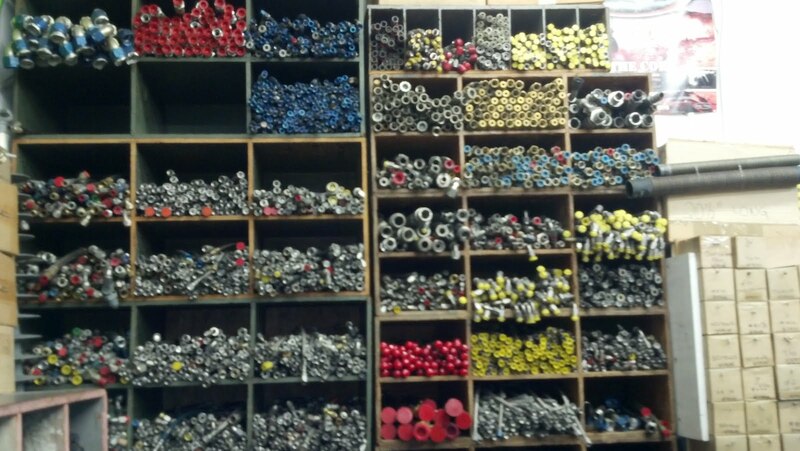 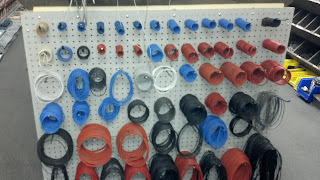 It's called Luky's Hardware, and it is a veritable Aladdin's cave of fasteners, fittings, hoses, electronics and aerospace-related bits. Most of the place looks like this - bin after bin of aircraft rivets, stainless nuts and bolts, hydraulic actuators, aircraft gauges. 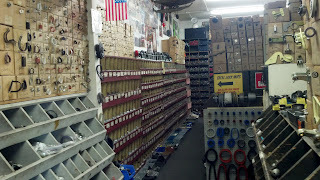 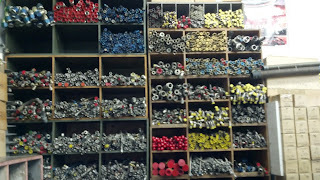 They also have a nice selection of large o-rings, huge bins of stainless hydraulic lines, and lots of of miscellaneous stuff, such as a whole box of photomultiplier tubes sitting out on the sidewalk.